Grizzly Spring Fingers are designed specifically for each machine and built to install easily in all makes of vibratory grizzly feeders and sreening applications. Plugged bars are a safety hazard and create Lost Productivity. 1.855.324.3500 | grizzlyspringfingers.com | 2915 Idea Ave | Aberdeen, SD 57401 Eliminate Plugged Grizzly Bars Contact us for a Custom Quote or More Information the industry's Best Solution to Rock Jams in Grizzly Bars & Punch Plates. • Flexible spring tines eliminate 100% of rock jams and provide 100% clear passing material even with sticky clay. • Works in Heavy Duty Scalping Screens in lieu of multi-row solid fixed OEM Grizzly Bars or in Medium Duty Screens directly over the top deck media, doubling productivity. • Field tested without failure for hundreds of hours. 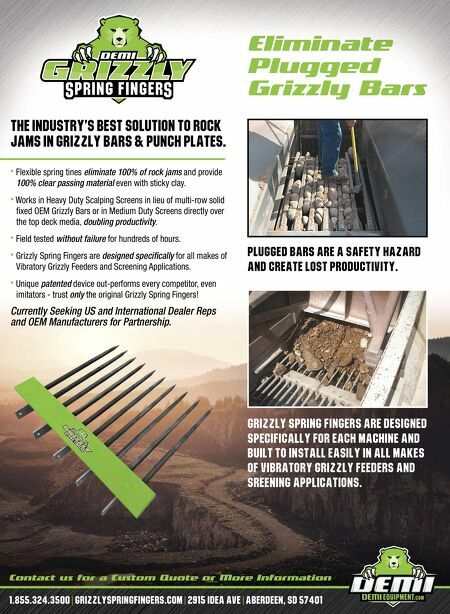 • Grizzly Spring Fingers are designed specifically for all makes of Vibratory Grizzly Feeders and Screening Applications. • Unique patented device out-performs every competitor, even imitators - trust only the original Grizzly Spring Fingers! 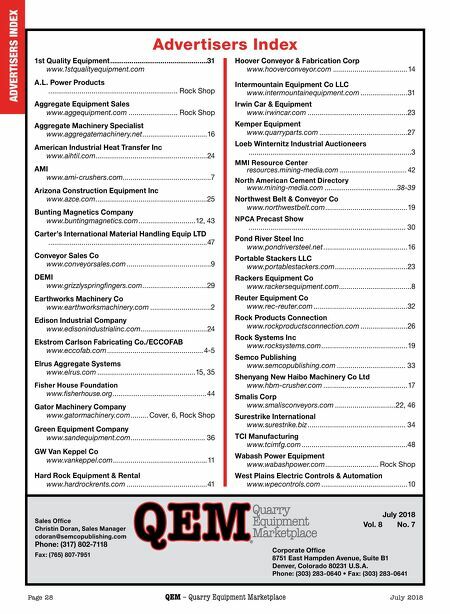 Currently Seeking US and International Dealer Reps and OEM Manufacturers for Partnership.